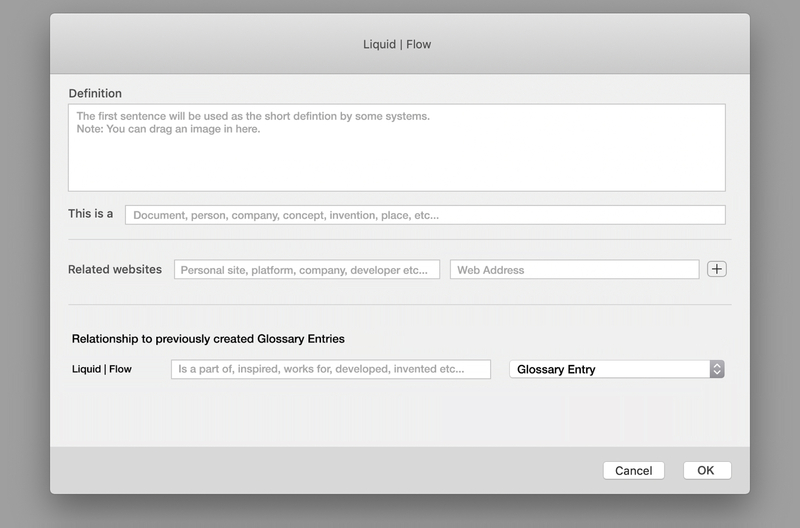 Once the user chooses a Glossary Entry, additional request appears below, asking the user to add a further relationship with the same two terms, but the other way around. Also, the little [+] only appears now, in case the user wants to add further relationships. 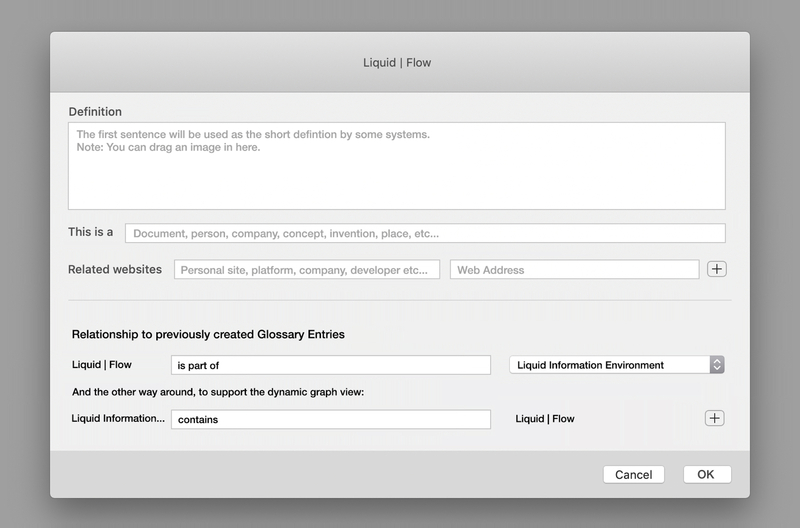 If possible, this additional relationship will be posted to the other term, (Liquid Information Environment, not Liquid | Flow) appended at the bottom of the term, if this is feasible. flow in the centre. Hegland, 2019. 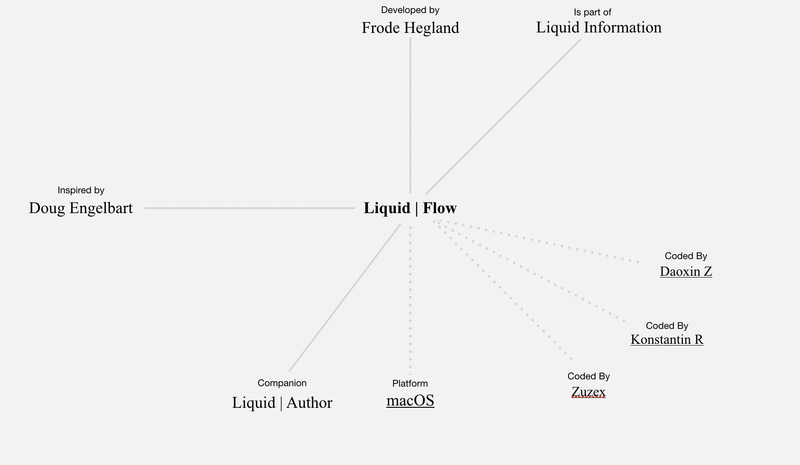 And once the user clicks on ‘Liquid Information’ it moves to the centre, showing relationships from its perspective–which turned out to be the key. 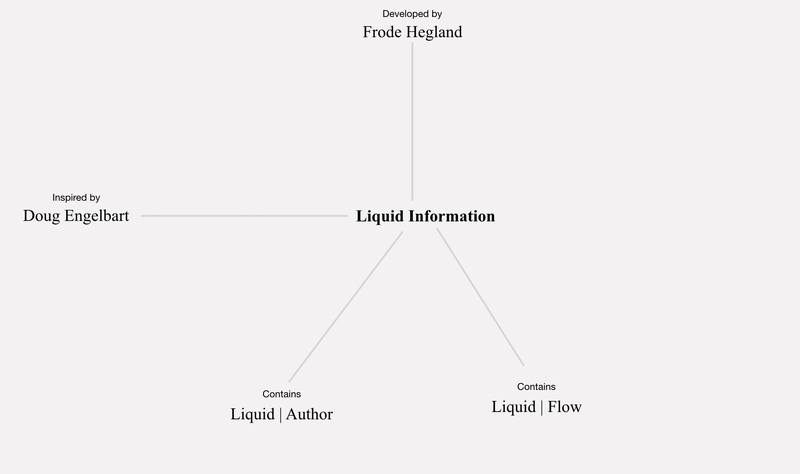 liquid information in the centre. Hegland, 2019. In the dynamic view, users can drag-and-drop one node onto another to create visible links which spawns a dialog to specify the category of relationship in both directions. Refer to the previous post for the discussion behind this conclusion.